Aesthetically, the Rugby Smart is nothing impressive. Largely plastic and featuring rubberized grips and a completely stripped down design, it won’t win any awards for its looks. Nonetheless, it is shorter, thinner, and lighter than other durable smart phones on the market, and at 4.4 ounces, even weighs less than the iPhone 4S. The textured back plate helps the phone to sit solidly in your hand, rather than being slippery like other smart phones on the market. The rear of the Rugby Smart is also home to its stand out physical feature- the locking mechanism. The back plat secures to the phone with a turning screw lock, which, while ineffective for keeping out water or dust, will ensure that the phone stays in one piece when dropped from a distance. Unfortunately, the Rugby Smart is rather unimpressive under the hood as well. Featuring a mere 512 MB of RAM and a 1.4GHz single core processor, the phone’s applications tend to run slowly and produce significant lag time. In fact, everything about the Rugby Smart is at least minimally slower than expected from a traditional smartphone. Lackluster though it may be, the Rugby Smart’s processing capabilities are still a significant improvement from other sturdy military grade smartphones. The G’zOne Commando runs on a measly 800MHz processor, making the Rugby Smart seem like a real speed demon. It also boasts competitive upload speeds and a 12 hour battery life during constant media usage. With normal use, the Rugby Smart has more than enough battery power to last all day, making it a great travel phone. Where the Rugby Smart really goes wrong is its screen size. 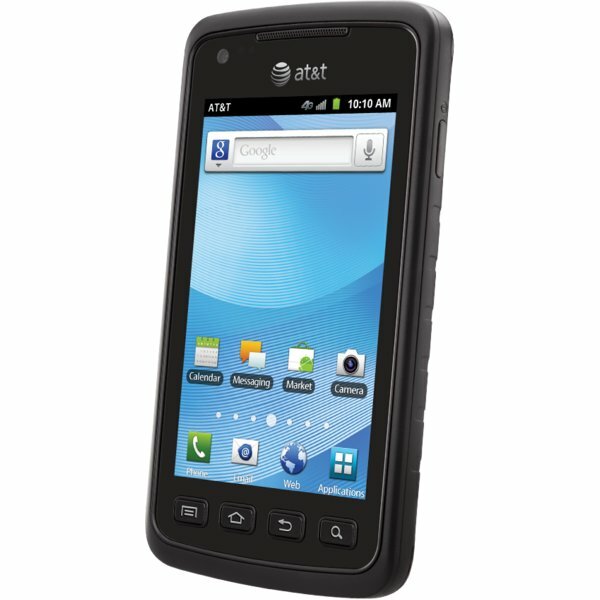 While a smaller, more compact phone is often desired, it makes it difficult to type on the cramped on-screen keyboard. Fortunately for consumers, this is a features that buyers eventually get used to, as with any new product. Another major flaw is the scratch resistant screen. While it does its job and is virtually indestructible, it is also extremely reflective. This means that the Rugby Smart has almost no visibility when used in sunlight and high-light situations. While this feature is a nuisance, the durable construction of the screen is worth the decreased visibility. Just make sure you check your phone in the shadows! 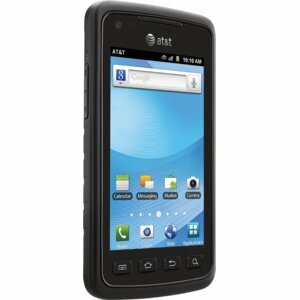 Despite its lackluster technology and mid grade performance, the Samsung Rugby Smart is a great buy. 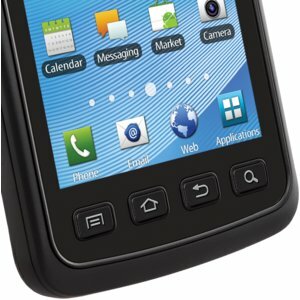 Available for the same price as the Samsung Galaxy Nexus, at a mere $99 with a two year contract, the Rugby Smart is both affordable and reliable. While it may not have the computing power of other higher classed smart phones, and is definitely not the phone for the technologically inclined consumer, it is perfect for anyone who has a history of breaking phones. Under a variety of tests, the Rugby Smart was dropped repeatedly onto hard surfaces, submerged in three feet of water, and all but smashed with a hammer. After each test, it survived with minimal performance damage. For business and casual users who have a habit of dropping phones or breaking tech devices, the Rugby Smart is a great option. If it’s top shelf specifications you are looking to stake your claim on, the Rugby Smart is not the phone for you. But if you are looking for a relatively high powered smartphone that is both reliable and ridiculously durable, the Rugby Smart is the best purchase you can make! Finally, a smart phone you can comfortably take out in a hurricane!